Register Log In AmbergrisCaye.com Home Forums Weather Where Are The June Rains? 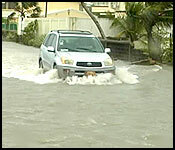 The hurricane season started 5 weeks ago, and usually June brings in the rainy season. We all remember the unexpected rains which flooding all across the country which started in late October and continued well into November. The rainy season, which should have normally started in June, hasn't begun as yet. 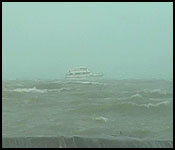 The National Met Service says this weather behavior was expected. "The indications are that the rainfall seems to have been below average for the month of June. We had expected that to some extent because the MET Service produces a seasonal outlook for three months; June, July and August. In our seasonal outlook that we produced it indicated that there was about a 70% chance that we would have average or below average during the period June, July and August, so we were sort of expecting the decreasing amounts of rainfall during June." So, if the weather continues like this, when is it a cause for concern, and is it a mild sign of an impending drought? "It's not cause for concern because we had a pretty short and wet dry season, so at this moment it's not a bit much of a concern in regards to developing any drought situation. If the unusually dry conditions persists through the month of July then it would start to raise cause for concerns, but we are seeing the tropical waves coming across the Caribbean and more and more they are becoming more vigorous. We can expect that our rainfall should return to normal this month." As we told you at the top of the newscast, one part of the country which has received an increase in rains is the Toledo District, which flooded this morning. Historically, Toledo has the highest volume of rainfall in the country.